Thursday night brought the 7 Artists & 7 Fishes Event to Save the Harbor/Save the Bay’s Pop-Up Museum in the North End to celebrate both the sea and sustainable seafood with local artists and chefs. Visitors came from Boston communities near and far to celebrate the gallery opening set up by Save the Harbor’s artist in residence Robyn Reed, and to try out the tasty recipes prepared by chef Basil Freddura of The Daily Catch restaurant. 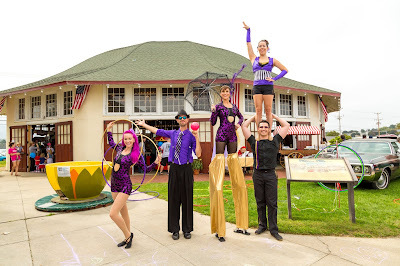 Group Photo of guests, artists, chefs, and Save the Harbor Staff. Bruce Berman, director of strategy and communications at Save the Harbor/Save the Bay, kicked off the event by introducing the driving message behind the festivities. “Each year, dietary guidelines call for Americans to eat more fish. With so many species under pressure, we feel it is important to share our list of the seven sustainable, available, and delicious species of fish to serve at the traditional Feast of the Seven Fishes this Christmas Eve.” The fish on the list this year includes farmed oysters, mussels, shrimp and salmon raised in the USA, Gulf of Maine or Georges Bank haddock, black sea bass caught by hand line, rod and reel or fish pots, and loligo squid – better known as calamari. Chef Basil Freddura of the Daily Catch frying up some calamari. The focus of the feast was on the loligo squid, as the Daily Catch prepared calamari seven different ways. Chef Basil Freddura noted that he “aims to inspire others to be creative with their cooking by taking advantage of the first certified sustainable squid fishery in the world.” His menu included calamari meatballs, fried calamari, calamari scampi, grilled calamari, marinated calamari salad, stuffed calamari, and squid ink bruchetta aglio olio. Many of the guests only were familiar with fried calamari going into the event, and the spread had them going back for more until they had tried all seven dishes. Three of the seven offerings of loligo squid. 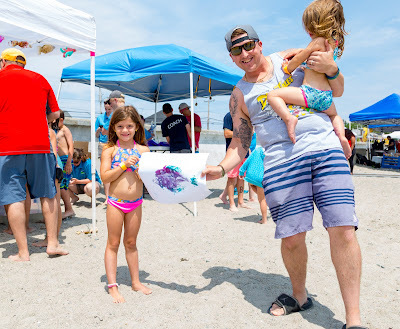 Surrounding the calamari feast was an array of environmental art featuring the Changing Course installation by North End artist Robyn Reed. The exhibit features fish made from painted plastic water bottles collected from the neighborhood and produced by participants in Save the Harbor’s free youth and beach programs to spark discussion about reducing the amount of plastic in the ocean. North End artist Robyn Reed's "Changing Course" Exhibit. Artists, Chefs, and Save the Harbor staff gather before the event begins. Top Row From Left to Right: Ashley Freddura, Basil Freddura, Alex Buchanan, Robyn Reed, Helen Kamins, Justice McDaniel, Mark Rose. Bottom Row: Kristen Barry, Trevor Etheridge, Shaquan McDowell, Chris Mancini. Save the Harbor would like to thank Robyn Reed and the artists who donated their time and work, Chef Basil Freddura and the Daily Catch, and our partners at Rockpoint Group and Rockhill Management for their enthusiastic support for this celebration of the sea and sustainable seafood. With more than 100 guests in attendance, Christine Pulsifer from Rockhill Management remarked that "the art, food and visitors brought the space to life." Guests enjoy the art surrounding the feast. The Boston Harbor Pop-Up brings the harbor, the islands and the beach to the heart of the city for everyone to enjoy. Kids of all ages can explore the harbor, create sand art, color murals, sing sea shanties, and pose for a picture with a big striped bass. 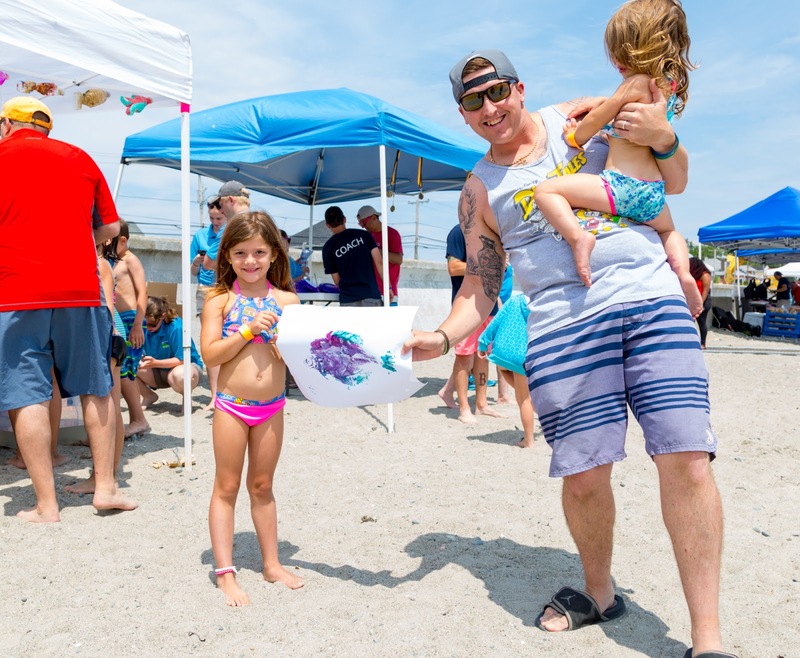 It also includes fish prints, photographs and videos created by Save the Harbor/Save the Bay’s Youth Environmental Education program staff. Christine Pulsifer from Rockhill Management and Save the Harbor Staff posing with the striped bass. From Left to right: Christine Pulsifer, Abel Yohannes, Mark Rose, Chris Mancini. A few curious kids learning about lobster at Atlantic Wharf. On Saturday, December 1st I helped out with an amazing event called Holly-Day on the Harbor at Atlantic Wharf. There was music, food, art, a lobster (courtesy of Save The Harbor), and most importantly a bunch of excited kids. 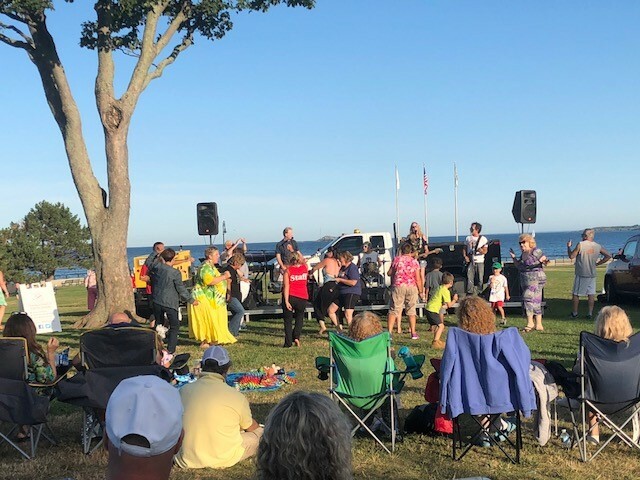 This was the first event I had worked since the summer, and it felt really good to be back with Save The Harbor. During this event I was mostly working the lobster station, trying to recruit sometimes hesitant kids to look at and hold our lobster. While some kids were scared of the lobsters and had to be encouraged to step out of their comfort zone, there were also a few really eager kids who were all over the lobster the second they saw it. Once I got the kids to come to our station I would tell them some cool facts about lobsters and would answer any of the questions they may have had. 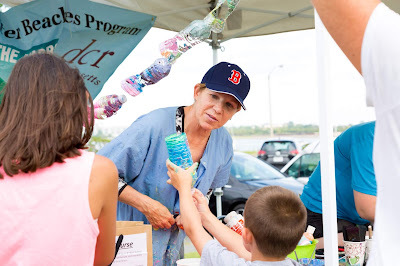 Along with the lobster, we also had Robyn Reed with us who used old plastic bottles to create artwork. This was a huge hit with the kids, and I'm sure the ocean is also thankful for Robyn's work. This past Thursday I was also able to help out at the 7 Artists, 7 Fishes event at the Pop-Up museum celebrating the release of the 7 sustainable fishes list to prepare at the Feast of the Seven Fishes on Christmas Eve. During this time I was able to see some really amazing artwork created by Robyn Reed and other environmental artists. I was also able to enjoy some of the delicious calamari which Chef Basil from the Daily Catch prepared seven different ways, and was able to catch up with some Save The Harbor alumni. 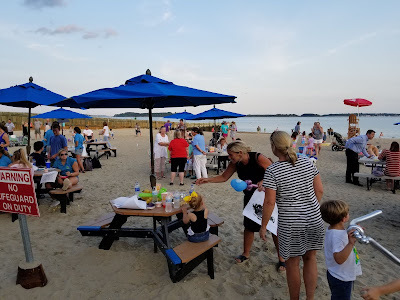 I was working the event so I did have to help out with various tasks, but I enjoyed the celebration and I thought it was one of the best events I have worked during my time at Save The Harbor. Christine, Mark, Chris and I posing in the striped bass photo booth at the Pop-Up. 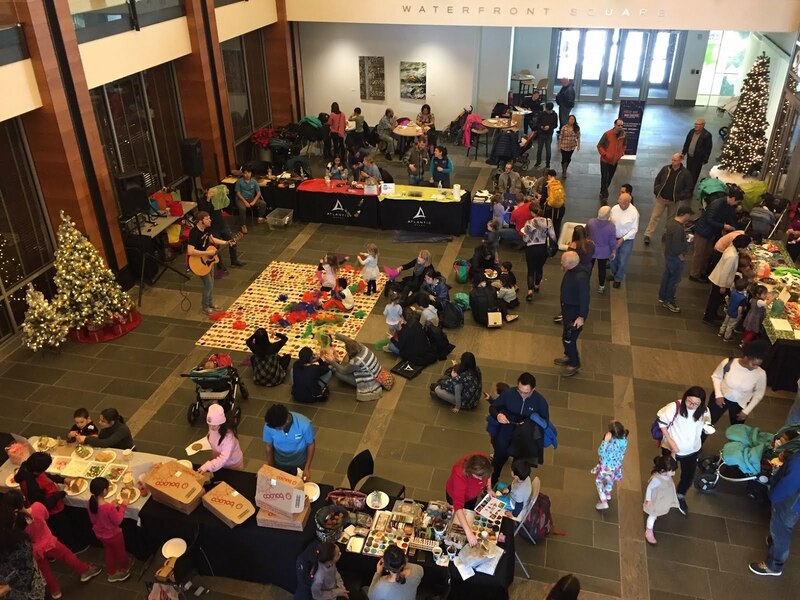 It was great to be a part of Save the Harbor's winter events, and share the harbor with adults and kids alike outside of the summer months. 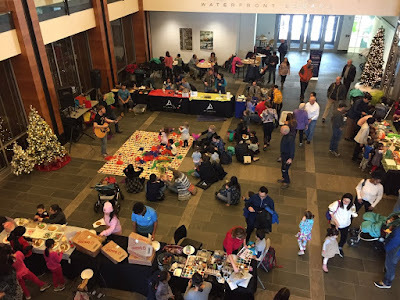 My week at Save the Harbor was full of excitement and new opportunities, as I attended three different winter events spanning from Winthrop to Boston's seaport. During my first event, I attended a conference about a book on pirates during the 1700s written by author Eric Jay Dolin. 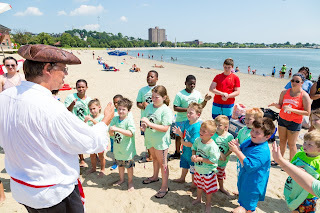 To kick off the event, we taught the guests in attendance the sea shanty Haul Away Joe to get them in the pirate spirit. 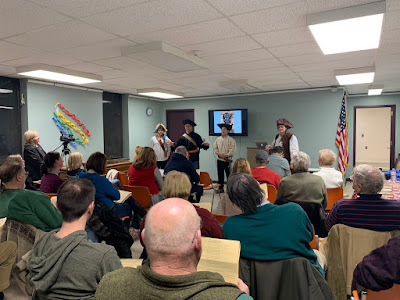 Dolin went into detail explaining how Hollywood has romanticized the thoughts of pirates and how the actual life of a pirate wasn't what was shown on the big screen. The author explained in a hour long conference the thought behind his book and stated misconceptions about pirates. The event was an extremely interesting and I enjoyed every second on it. Ashley, Chris, Kristen and I teaching sea shanties to the guests in Winthrop. The second event I worked was Holly-Day on the Harbor at Waterfront Square near South Station at which we set up a stand in order to help kids celebrate Christmas on the harbor. There were lots of things for the children to do including a music session in which many kids participated in. 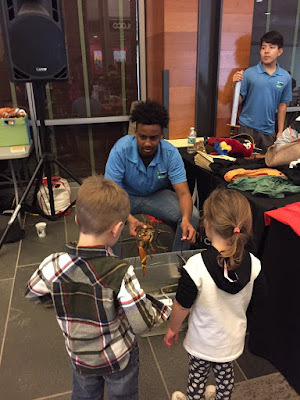 Kids were able to look at the touch tank to observe a two pound lobster and they had the chance to dress up as a pirate. 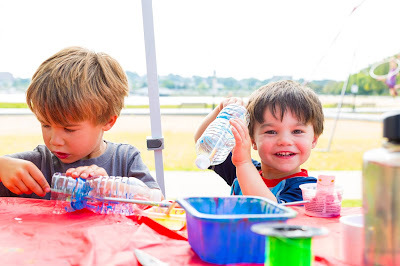 Kids also worked with our artist in residence, Robyn Reed, to paint water bottles to contribute to her Changing Course exhibit. This was definitely one of the most exciting events I've been to because it flew by extremely quickly while I listened to holiday music sung by the musical guests. A view from above of the activities at Holly Day on the Harbor at Waterfront Square. This past Thursday, I attended the 7 Artists, 7 Fishes event at the Boston Harbor Pop-Up museum in the North End, featuring many environmental artists and tasty calamari prepared seven ways. This event was exciting because there was a lot of people who came to learn about what we were doing at Save the Harbor/Save the bay and it was incredible seeing so many people interesting in the release of the 7 sustainable fishes to prepare at the traditional Feast of the Seven Fishes on Christmas Eve. The best part of the event was the food that was catered and prepared by Chef Basil of the Daily Catch, as it was extremely delicious and I could not help myself from going back for more. A glimpse of the art surrounding the guests at the Pop-Up 7 Artists, 7 Fishes event. 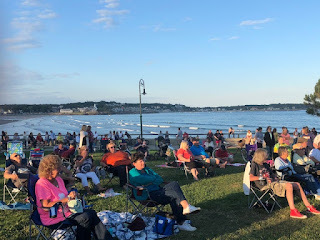 I hope you enjoyed this glimpse into my week at Save the Harbor, as each event was exciting to attend. It is great to get to share Save the Harbor's work with kids and adults alike in the winter months. On Tuesday, November 13 Save the Harbor/Save the Bay and the Outfall Monitoring Science Advisory Panel (OMSAP), the Public Interest Advisory Committee (PIAC), Massachusetts Department of Environmental Protection, U.S. Environmental Protection Agency, and MIT Sea Grant College Program hosted a conference: 2300 Days at Sea: Monitoring the Impacts of the Massachusetts Bay Outfall. 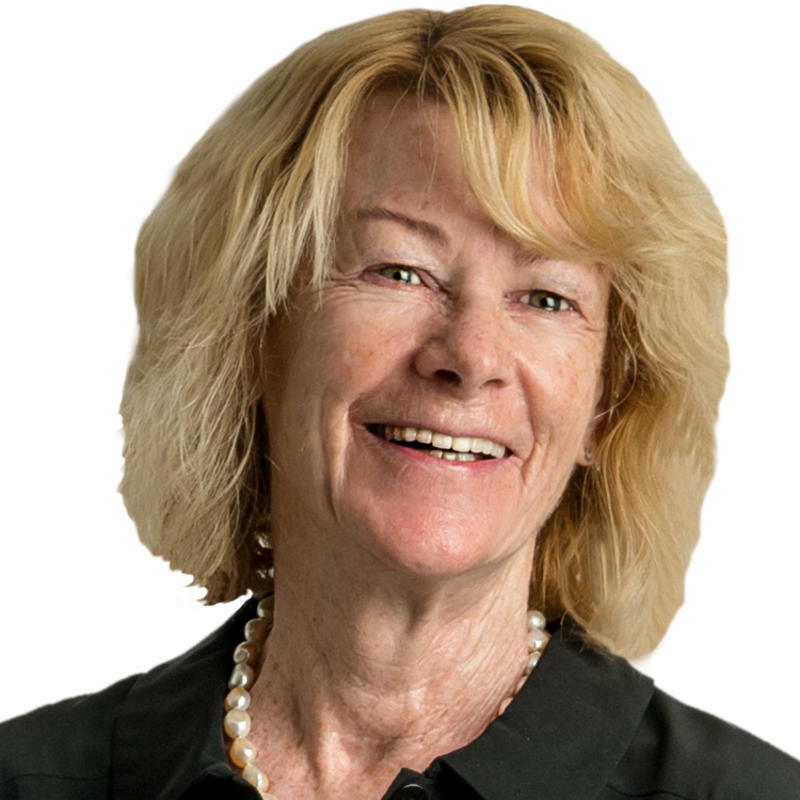 This conference, which was chaired by Dr. Judy Pederson of MIT, brought together scientists, advocates, policy makers, academics, and citizens to review nearly 30 years of ambient monitoring at the Massachusetts Bay outfall pipe and begin to discuss what a future monitoring program should look like. 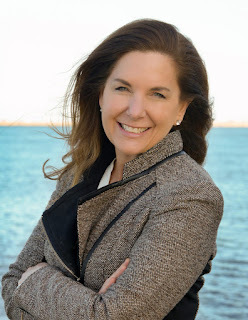 At the conference Dr. Betsy Reilly Director of Environmental Quality, Water and Wastewater at the MWRA gave an update on the 33 questions included in the original monitoring plan and the results to date. Dr. Mark Smith from the Massachusetts Department of Environmental Protection spoke about emerging contaminants. 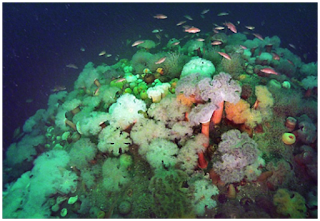 Dr. Juliet Simpson from the MIT Sea Grant College Program spoke about climate change and the impacts on the ocean. Dr. Michael Connor, former Director of the Environmental Quality Department at the MWRA and current General Manager of the East Bay Dischargers Authority in San Fransisco, gave the keynote address at the conference on best practices in regional monitoring programs. Conference attendees dived into each of these topics in breakout groups, discussing what questions have been asked and answered through monitoring to date, how the warmer, deeper, more stormy ocean of the future will impact what monitoring is needed, and how to address concerns regarding emerging contaminants including micro-plastics and pharmaceuticals. 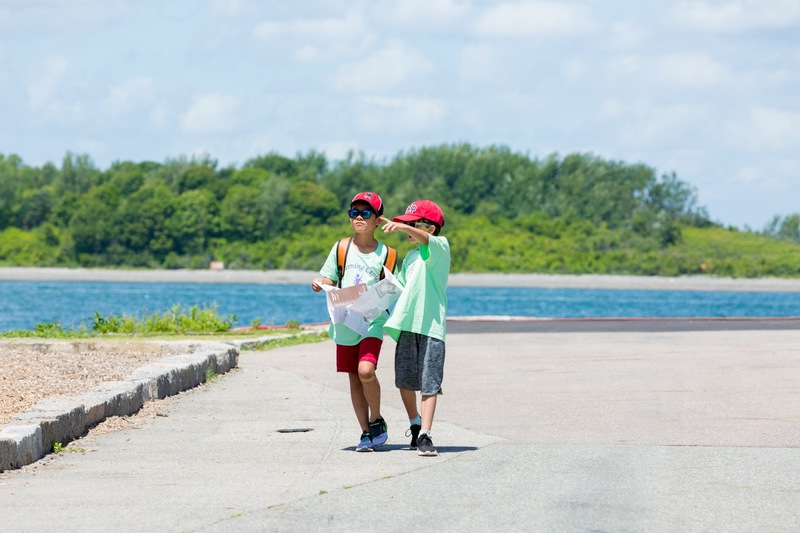 In the coming weeks, OMSAP and PIAC will conduct a careful review the information we gathered on Tuesday and release a conference report with specific recommendations that will continue to ensure that the improvements to Boston Harbor do not come at the expense of Mass Bay or Cape Cod. 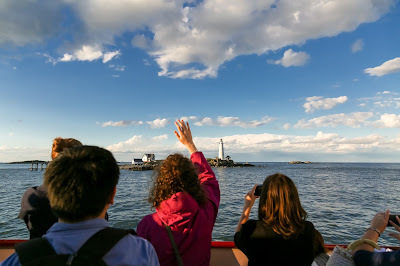 In 2018 Save the Harbor/Save the Bay hosted 11 free "Share the Harbor" cruises to Spectacle Island, Georges Island and Boston Light on Bay State Cruise Company's Provincetown II, which truly shared the harbor with residents from every neighborhood in the City of Boston and with the region's residents as well. 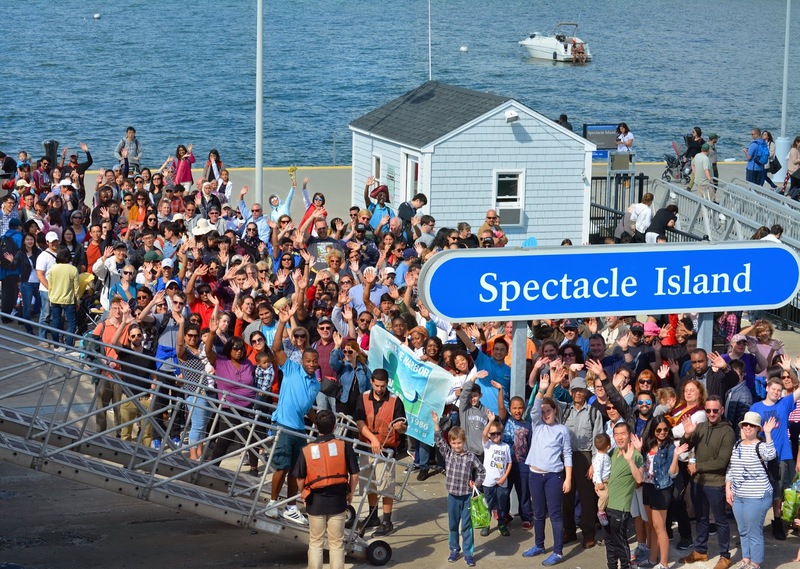 Nearly 14,000 people signed up for these free trips, including Marine Mammal Safaris in the spring, summer cruises to Georges and Spectacle Island, evening trips to Boston Light, and Treasures of Spectacle Island excursions in the fall. The Share the Harbor season began with Save the Harbor's Marine Mammal Safaris, 90-minute guided inner harbor tours in search of harbor seals, porpoises, and other marine life. Summer kicked off with an evening cruise to Boston Light, home of the first lighthouse in America. 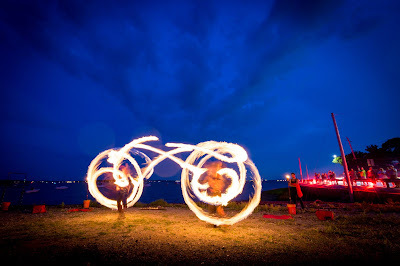 July and August featured several trips to both Spectacle Island and Georges Island, home to historic Fort Warren. 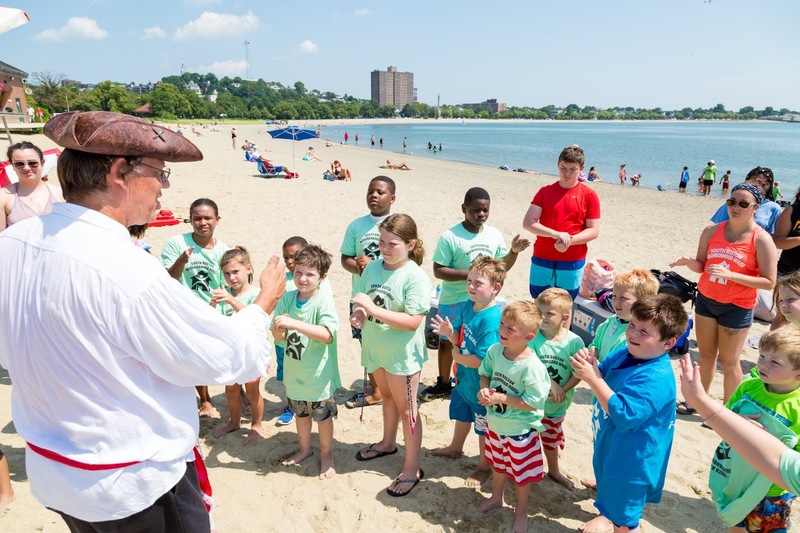 On these trips Save the Harbor's Youth Environmental Education Program staff provided free activities for visitors. In the fall we traveled once again to Boston Light, this time with Keeper of the Light Sally Snowman on board to talk about the role and history of the island. 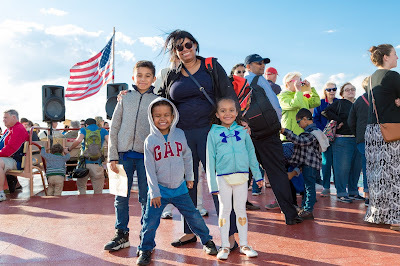 Two final cruises to Spectacle Island capped the fall season, including a "Treasures of Spectacle Island" trip as well as a post-season trip in partnership with Boston Harbor Now, the National Park Service, and the Massachusetts Department of Conservation and Recreation. 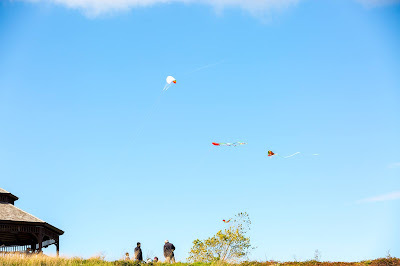 This "Fall Frolic" allowed the public to visit after the park had closed for the season, and featured fishing and crabbing, storytelling, kite flying, tours of the island, a live jazz band, and a Junior Ranger swearing in ceremony! 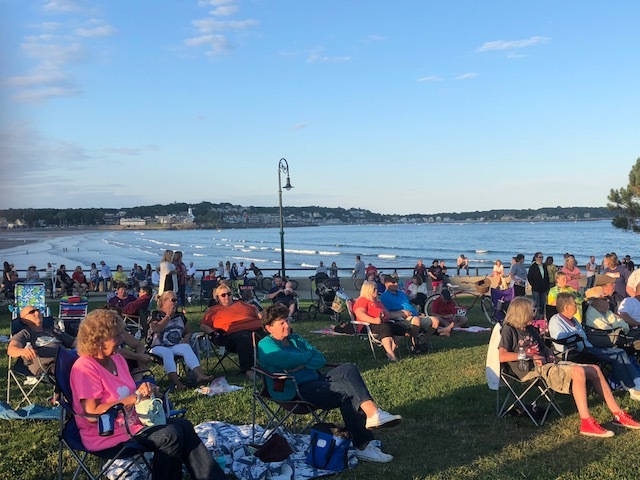 Save the Harbor would like to thank all our foundation funding partners, corporate sponsors, and the more than 1,000 individual donors who help make our work possible. 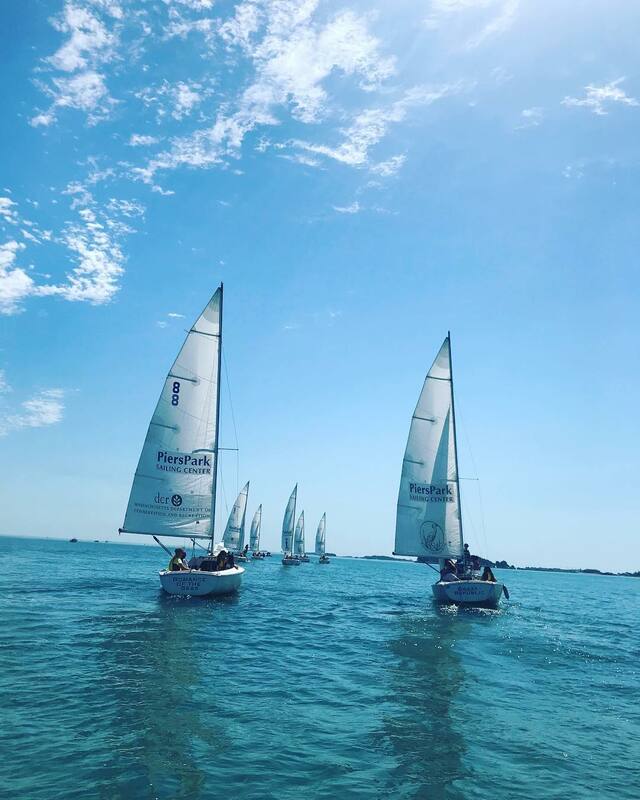 We would also like to thank our partners at Bay State Cruise Company, The National Park Service, The Department of Conservation and Recreation, and Boston Harbor Now. 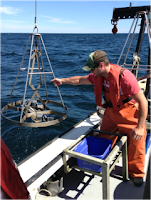 Save the Harbor’s “Share the Harbor” cruises are funded in part by Mass Humanities, which receives support from the Massachusetts Cultural Council and is an affiliate of the National Endowment for the Humanities. The year ahead marks an important transition for me personally, as I recently announced my intention to retire as President in April. 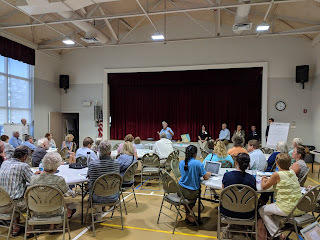 2019 is also an important year for Save the Harbor/Save the Bay as we work to strengthen our free programs and advance our ambitious advocacy agenda. 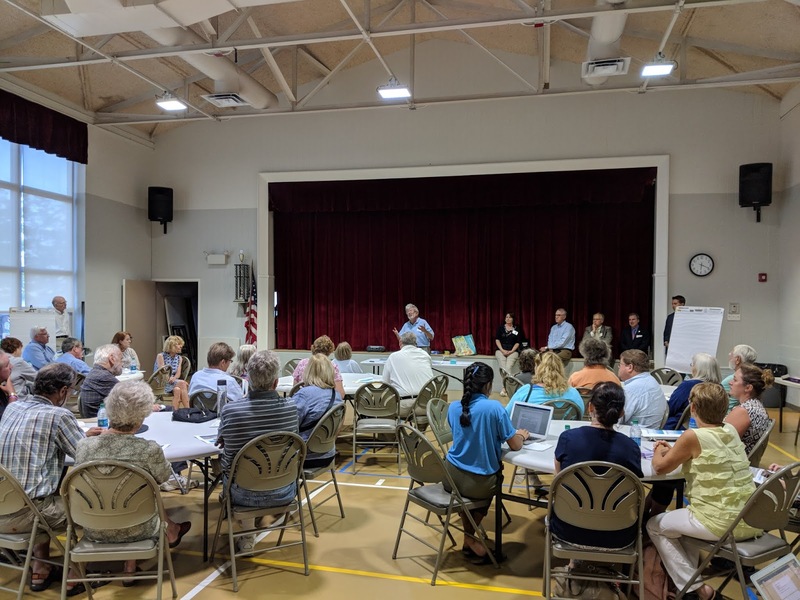 You can be certain that our Chairman Joe Newman, the Board of Directors, our Director of Strategy & Communications Bruce Berman and the staff will keep our commitment to our free programs and policy goals. Working together, we have transformed Boston Harbor from a national disgrace into a source of educational, recreational and economic opportunity and civic pride for the nearly two million people who live just a short ride or drive to the waterfront, the harbor, the islands and the region’s public beaches. 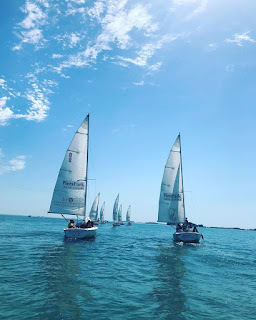 Though there is still more work to do to and new challenges ahead, with your sustained support we have made Boston Harbor home to some of the cleanest urban beaches in the nation, and our spectacular waterfront and the harbor islands have become destinations for the region’s residents and visitors alike. I hope you will make a contribution today at www.savetheharbor.org/contribution as we prepare to begin the next important phase of our work. I am certain that the future is bright for Boston Harbor and Save the Harbor/Save the Bay. With your support, Save the Harbor will continue to be the region’s leading voice for clean water, advocating for modest but important investments in 2019 that protect our region’s $5 billion public investment in the Boston Harbor cleanup and provide free events and programs that connect nearly 2 million residents annually with Boston Harbor, the waterfront, the Boston Harbor Islands and our region’s public beaches. 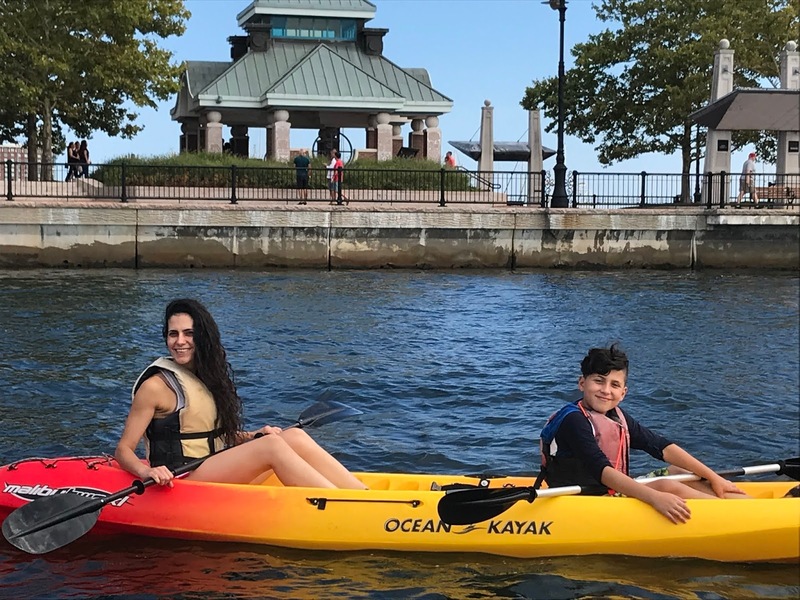 With your continued support, Save the Harbor will also continue to be the Boston Harbor Connection with four seasons of free programs that Share the Harbor with underserved young people and low-income families. 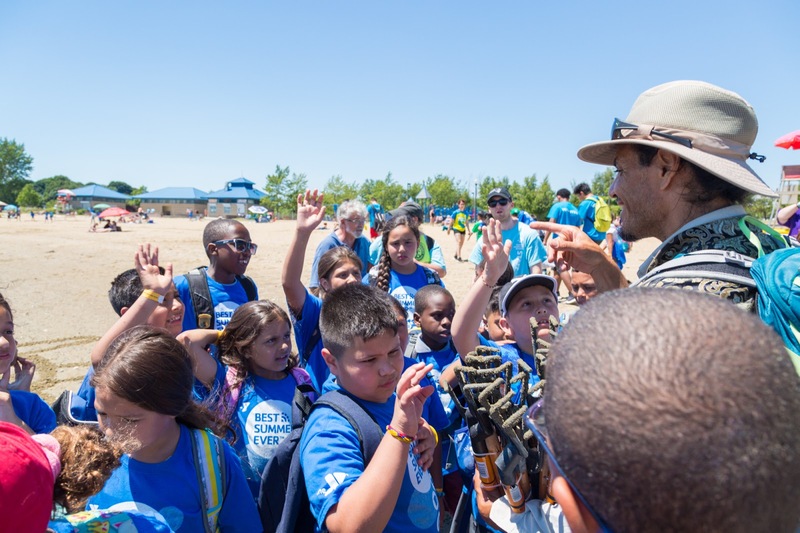 Since 2002, our free Youth Environmental Education Programs, which include All Access Boston Harbor and the Boston Harbor Explorers, have connected nearly 250,000 underserved young people from 124 organizations in 40 communities to the harbor we have helped to restore and protect. 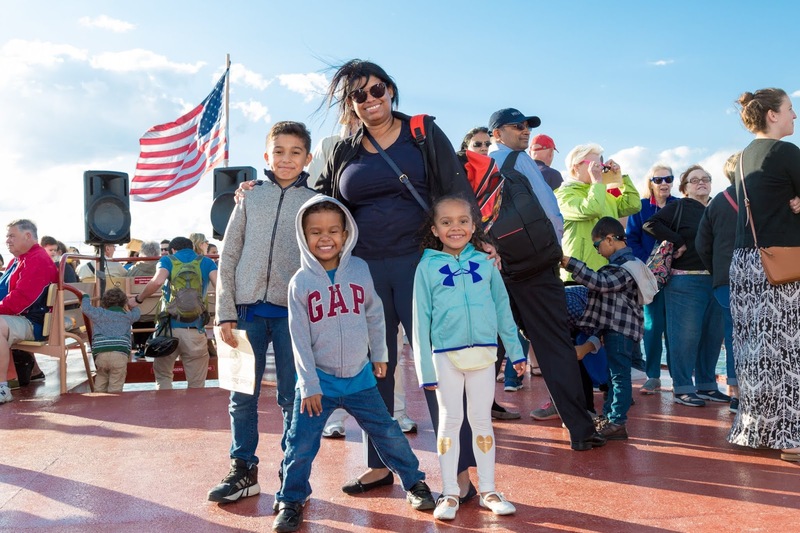 Additionally more than 14,000 people signed up for our new free Share The Harbor cruises in 2018. 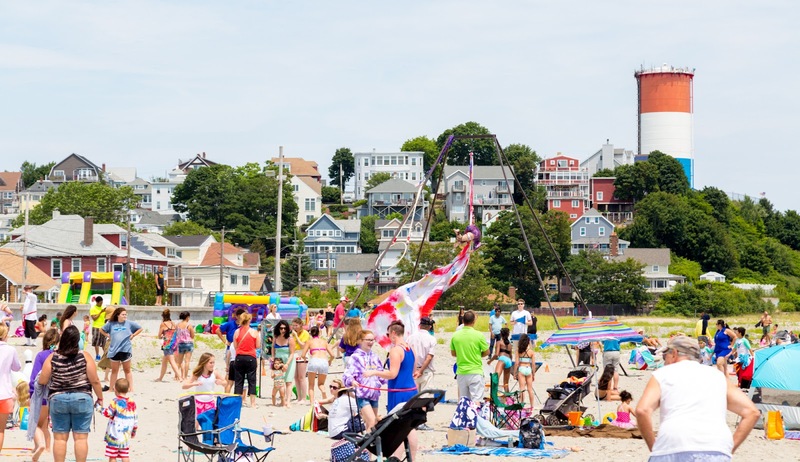 Since 2008, our free Better Beaches Program partnership with DCR has invested more than $4 million dollars to support hundreds of free events and program in 9 waterfront neighborhoods and beachfront communities from Nahant to Nantasket since we began it in 2008, bringing more than 1 million visitors back to our beaches in 2018. With your continued support, our free events and programs will continue to create a generation of stewards who understand that Boston Harbor, the islands and our public beaches belong to them and their communities, bringing the waterfront and the harbor to the center of civic life in our capital city. I learned to swim at L Street Beach in South Boston many decades ago, where I also learned to love our city and the sea. Today, I still love Boston and our spectacular harbor, and I know you do too. 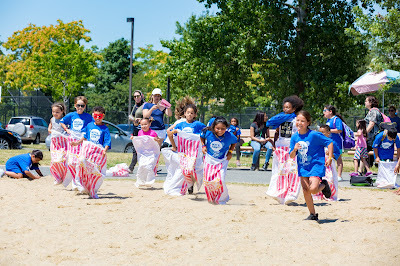 When I first joined Save the Harbor nearly 20 years ago, it was easy for me to embrace the mission: to restore, protect, connect and share Boston Harbor with Bostonians from every neighborhood and the region’s underserved kids and families. As President, it has been my privilege to work with an exceptional mix of people, policy makers, communities, companies, funders and other organizations to strengthen our city and improve the quality of life for all our residents. 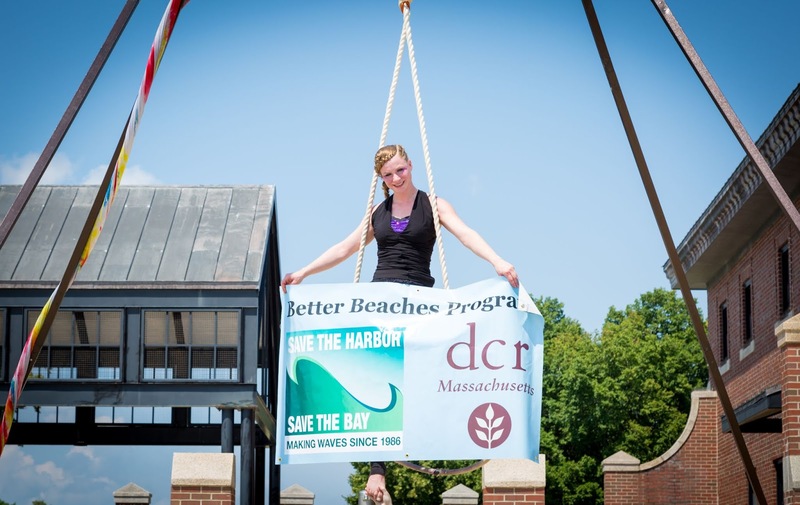 Since Save the Harbor was founded in 1986, we have given Boston Harbor back to the people. 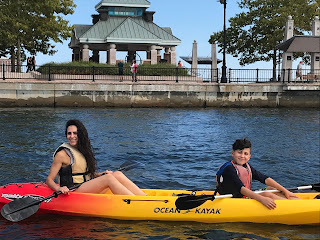 As I prepare to leave this terrific and challenging position, I hope that you will take a moment to make a contribution of $25, $50, $100, $250 or whatever you can afford to give to support our work to restore, protect, connect, and share Boston Harbor with the region's underserved kids and low-income families. On behalf of Joe Newman, the Board of Directors, Bruce and myself, I am personally grateful for your belief in our mission and for your continued support for our work. Best of wishes throughout the holiday season. 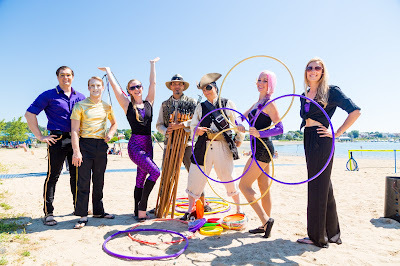 This summer Save the Harbor/Save the Bay, the Department of Conservation and Recreation and the Boston Circus Guild brought 8 “Life’s a Beach” festivals to the regions waterfront neighborhoods and beachfront communities from Nahant to Nantasket as part of our Better Beaches Program. This year's festivals included aerialists, acrobats, stilt-walkers and jugglers from the Boston Circus Guld, as well as our crew of performing pirates who shared songs and stories of the sea. Events also featured art on the shore with Artist-in-Residence Robyn Reed, who's interactive art installation Changing Course helps to educate community members about plastic marine pollution and the importance of recycling. This project transforms found plastic water bottles into a school of fish. 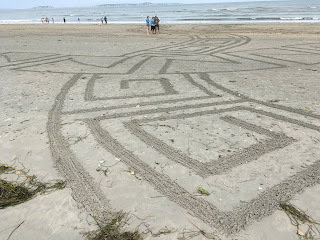 At Life's a Beach events this summer children and families created and contributed their own "fish" to the piece. 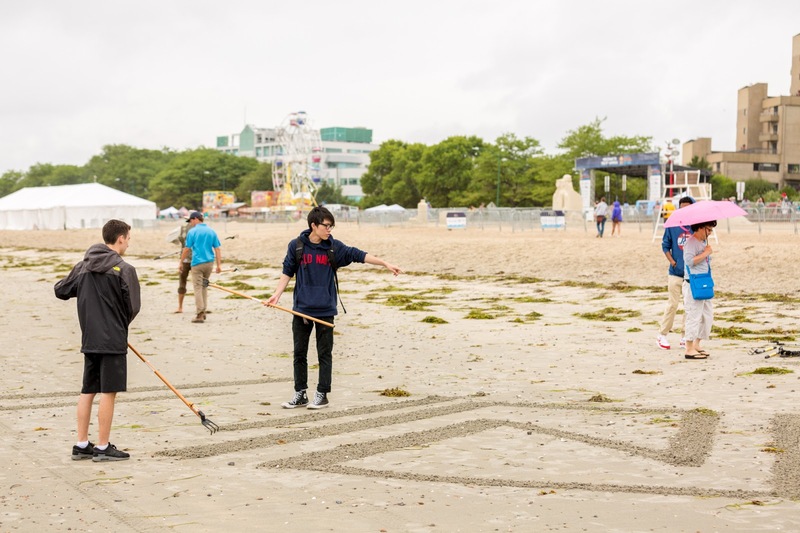 This summer also saw the return of internationally renowned artist Andres Amador who creates huge works of art in the intertidal zone of beaches. These interactive, collaborative, and visually stunning pieces are part of Amador's Earthscape Art series, inspired by his study of calligraphy, ancient architecture, and science of all disciplines. The artwork on beaches can span over 100,000 feet, achievable only during low tide when the beach is revealed. 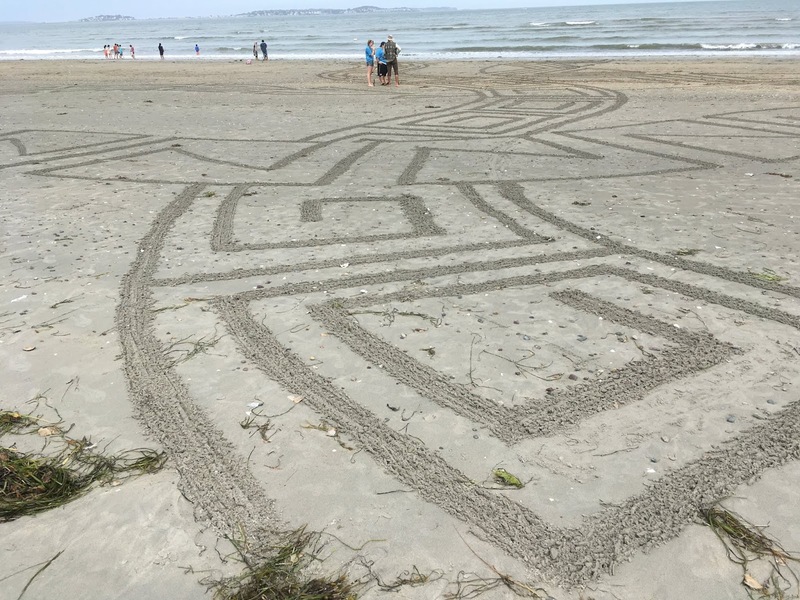 Andres visited Nantasket Beach, Constitution Beach, and Revere Beach to create this art. This year's "Life's a Beach" festivals also included our Youth Environmental Education Program staff who brought fish printing and touch tanks to teach kids and families about the creatures who live in Boston Harbor and Mass Bay. 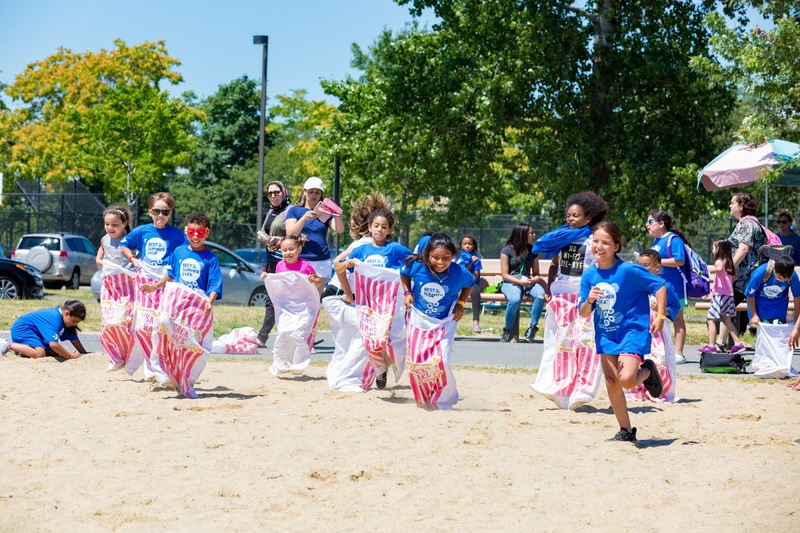 In 2018, nearly 10,000 people took part in these free Life's a Beach Festivals, proving that life can really be a beach!